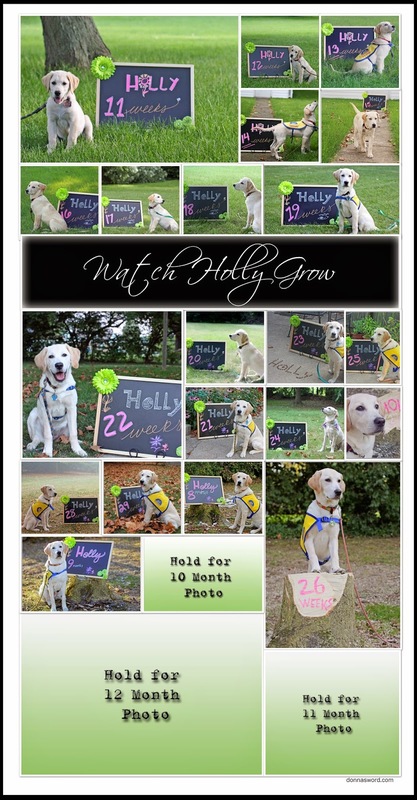 And speaking of capturing moments in time, I’ve designed a photo collage of the weekly puppy photos we’ve taken of Holly since she showed up here last March. It's amazing how much they grow in the first year. Wishing y'all a safe and healthy New Year! Right? Especially in the first weeks. When I look back with these CCI pups, I feel like I never took enough baby photos. Don't they? Wish I could bottle this time. Same for you, Hawk. A happy and safe 2015 to you! Happy New Year to you Gilligan! Thanks for stopping by. Watching our pups grow up from 8 weeks of age has been one of the most rewarding phases in my entire life! 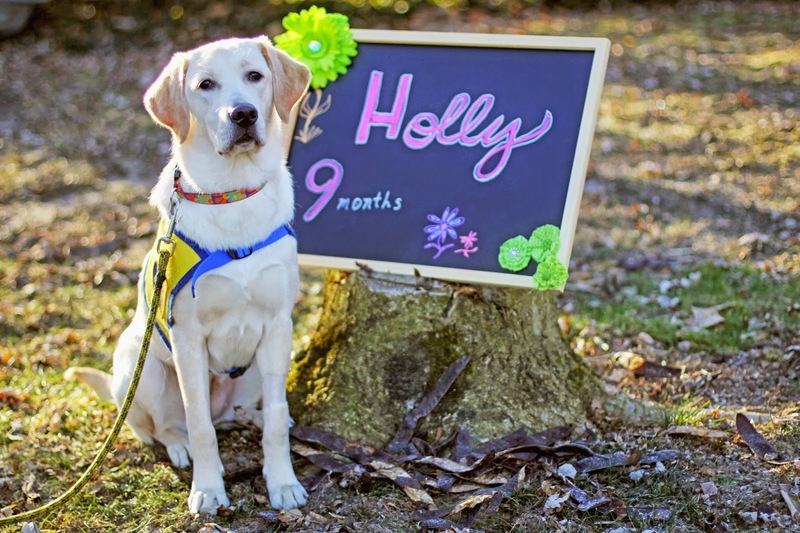 Miss Holly was precious as a “puppy puppy” and is a gorgeous lady now! Happy New Year from our pack at K9sOverCoffee to yours! A Happy New Year to your pack as well! Thanks so much for stopping by the dog blog.